Happy happy happy Friday! It has been a busy week in our house and I'm looking forward to the weekend and continuing the Christmas preparations. If I'm ambitious I might even write out and mail my Christmas cards! 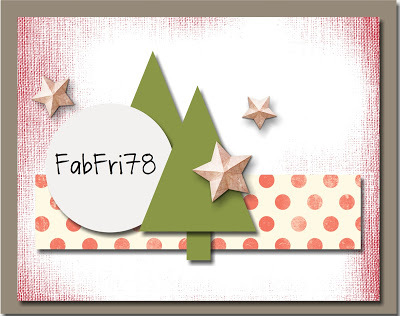 We've got our last Fab Friday Challenge of 2015 today! How has a whole year gone by again? 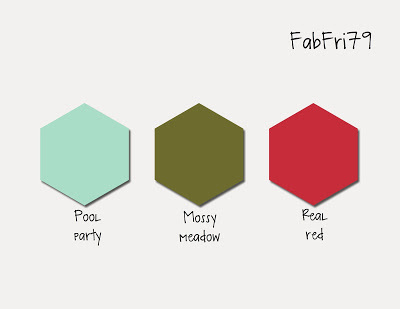 I hope you'll find time to play along with this great color combination. It might even inspire you to make those last few Christmas tags, cards or gifts! For about half a second I was going to try to not make a Christmas card and then I just caved and pulled out the classic pine tree from Lovely As A Tree and got busy. I used the current Freshly Made Sketches challenge as my layout inspiration. This card is like the past, the present and the future all together. The past is the pine tree from Lovely As A Tree. It's still current but it has been around a long time and is still a great stamp set. The present is the sentiment stamp from the Reason for the Season set in the Holiday catalog. The future is the clear sheet with the gold circle which is a Project Life card that is one of the freebies that will be available during Sale-a-Bration! The pack is called Memories in the Making Specialty Card Collection. I'm so excited to begin showing all the new things I've preordered. So many stamps so little time! 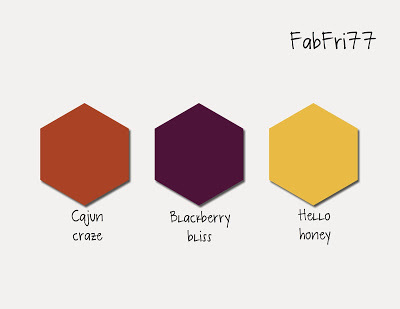 I hope you'll head over to Fab Friday and see the rest of the Design Team samples. They are sure to be awesome! Even though I keep saying that I'm done making Christmas cards I just can't stop. I'm still getting inspired! For this card I used the Ink Smash technique that's been floating around for a few month. I bought the Silicon Craft Sheet just to do this technique. Using damp watercolor paper you continue to layer and dry multiple colors of ink for a deep, rich background. I stamped stars all over the top of it in silver ink using the Be the Star stamp set. Next, I turned to the other elements and decided that some sparkle was necessary to go with this purple. I added a panel of retired Brushed Silver cardstock to frame the purple. I had one punched tree leftover from an earlier project so that went on. 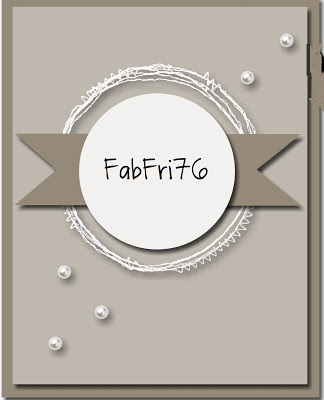 It's Shimmery white cardstock embossed with the Softly Falling embossing folder. Next I used the Big Shot and the Christmas Greeting Thinlets and cut a Merry out of silver glimmer paper. With a scrap of Brushed silver I stamped the Christmas in Rich Razzleberry and cut a little banner. The final touch was some Shimmer Mist made with the retired Shimmer paint Stampin' Up! used to sell. I believe you can still find it out there but we don't carry it any longer. It's a fabulous way to get a light coating of sparkle over a whole card. The color combination was inspired by the Color Me challenge which just announced that they are finished hosting challenges. Too bad! When ever I had a chance to play along I enjoyed their colors even if I didn't get it entered for that week it was fun to play along and see the inspiration. So I thank the Design Team at Color Me for all that they have shared! I generally don't keep very many retired stamp sets as I just don't have the room or the time to use things that I can't demonstrate in my classes. But the Endless Wishes stamp set from last year is one that made the cut to stay in my retired stamp drawer. 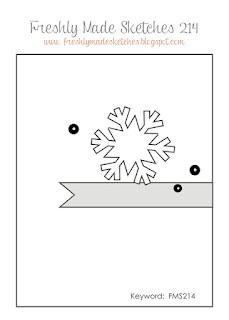 The snowflakes are just such a cute style and I can use snowflakes all winter long. My inspiration for this one came from a pre-printed Christmas card catalog. I liked the color combo shown as well as it was that chalkboard style of writing. The chalkboard technique couldn't be easier. 1) emboss your images onto black cardstock with white embossing powder. 2) using a damp paper towel wipe some Whisper White craft ink across the black cardstock. Add more ink for more "chalk dust", wipe off if you've gotten too heavy handed. Done! Since my inspiration had some gold on it I used my blender pen and a drop of gold ink and painted a bit of gold onto each snowflake. The sentiment is from the November Paper Pumpkin kit and I thought was clean and simple enough to go along with the busy snowflake background. The Noel panel is backed by a piece of the retired Brushed Gold cardstock. It's really Christmas time now at my house! We got our trees put up this weekend and set out the last of the other decorations. Our elf on the shelf, Tannenbaum, has even arrived. Now we can hang out and enjoy how beautiful the house looks. My last big task is to get my Christmas cards sent out. I made a few more last week and will be sharing them here over the next few days but I think I'm ready to move on to Happy New Year's cards! And my Stampin' Up! Occasions catalog preorder is due to arrive today so it's a happy happy day here! It will be hard to focus on my to do list! I'm coming in under the wire again this Monday morning to participate in the Freshly Made Sketches challenge. This card was super fast to put together and I even got to use up some scraps that I had laying on my stamp table. The only stamping on this card is the silver embossed "Joy" on the banner element. The sleigh die cut was left from a stamp club a few months ago and I added the Dazzling Diamonds to the edge. I recently ordered the silver Fancy Foil Designer vellum so I thought it was high time to cut into it. The polka dot pattern was a nice subtle one to use for this sketch challenge. What would Christmas be without a few puns to cause us all to groan? I can't resist this one because the little sheep is so cute! I got this color combination from a catalog of preprinted photo cards. Real Red, Garden Green and the retired Primrose Petals and gold. 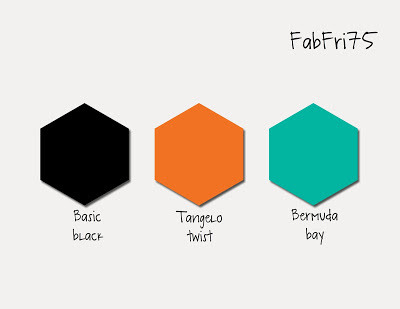 Catalogs are a great place to come across new color combinations. I have a whole stack of ripped out pictures on my stamp dest to use as inspiration...some day. This one made the cut quickly so I wouldn't run out of time and have to wait until next year at Christmas to use it. I have a whole stash of the also retired Core'dinations paper so I used that for the stripes for a bit of subtle texture. The sheep was stamped in Memento ink and colored in with alcohol markers. The Santa hat was stamped separately, colored and cut out. It's popped up on a teeny tiny piece of dimensional. I used my Tags and Labels framelits to cut it out and then added the Garden Green striped ribbon and gold cording. I used up some bits and pieces of gold glimmer paper by punching out some small stars with the Stars border punch. On the inside I actually stamped the "Fleece Navidad" sentiment that comes with this set along with another sheep. One of the focuses at my last stamp club was gift card holders. We want to present even a gift card in a fun way! We also made a coffee cup gift card holder that I showed last week. This one is a great gift card holder to make if you have lots of DSP that really should get used and not hoarded in your paper supply! Not the best quality photo but the front is clean and simple and could easily stand on it's own as Christmas card. My ladies had a choice of gold or silver cording as well as gold, silver or red Dazzling Details to decorate their tree. The Softly Falling embossing doesn't show well in the photo but it's there and gives a nice subtle texture. We used paper from the Merry Moments DSP stack. You'll notice that my patterns don't match because when I was designing the samples and cutting the paper for class I had just enough for my stamping ladies with these 2 mismatched pieces left for my second sample. You still get the idea right? All you do is score a bit, fold 2 rectangles, get your adhesive in the right place and there you have a nice little spot to slide in a gift card and it all folds down pretty flat when closed! 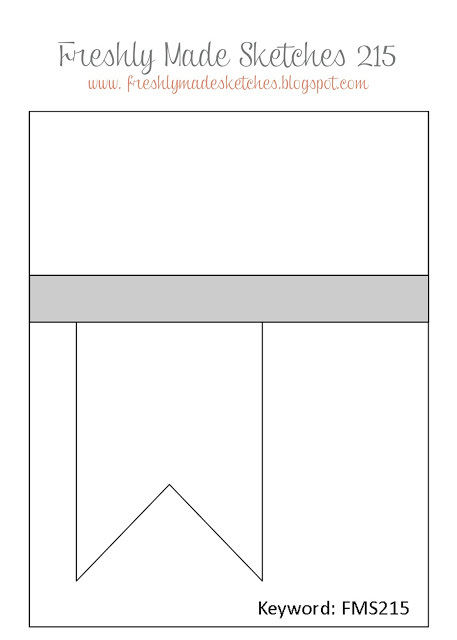 Fold all your scores and you'll see the rectangle. Adhere the flap with tear tape along the long edge. Repeat with the second piece. Now to adhere both boxes together. This is the important part because I was just cranking right along with one of my samples and had the "Duh" moment. Just adhere the 2 boxes together on the short ends. DON'T run the adhesive down the long sides or you'll end up taping shut the slot where the gift card slides into! 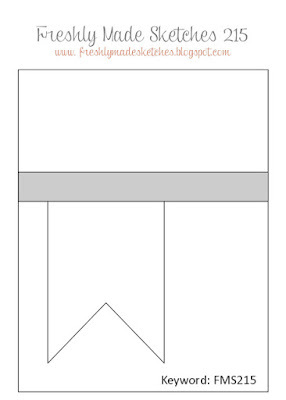 Next, adhere the DSP to the inside of your card base lining it up with the center fold. I found it easiest to do one side at a time. For example, put adhesive long ways on the back, line it up, press it down (you can close the card and burnish with a bone folder to get a good connection). Then open it back up, add more adhesive to the the bottom and repeat burnishing. If you're using a pattern that has a right and wrong direction pay close attention when scoring both pieces of DSP so that they line up the same when when adhered. I did make a few extras for myself and used some of the older DSP stacks that are only 4 1/2" wide so I adjusted the score lines to 1 1/4, 1 3/4, 3 and 3 1/2. The rest of the instructions are the same. I learned how to make this style from Caroline's video here. She definitely hits a home run with this one! And definitely decorate the inside! Accessories: Tree punch, small star punch, gold cording, Dazzling Details, Simply Scored, tear tape, dimensionals, Softly Falling e.f.
Today's card is another that we did in class but I think it was in October. I'm so behind...in more than just posting cards so it will be a short post this morning! The base is Early Espresso, then a layer of Very Vanilla, then the top layer is Crumb Cake. We stamped this layer with a collage of many of the sentiments from the Oh What Fun set. 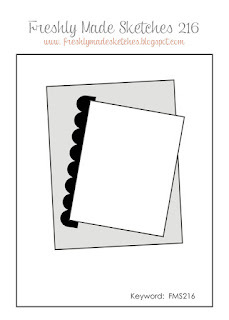 Just arrange them on one of the larger clear blocks and cover your cardstock. This set isn't just for the tag kit! The Christmas tree is simply half of a circle folded into a tree shape. The edges are slightly sponged with Crumb Cake ink for a more vintage feel. We topped the tree with the largest size of rhinestone for sparkle. The bow is made with the Bow Builder punch using the Merry Moments DSP stack. The trick to using the bows on a card that you want to mail is to stick a dimensional on the inside of each loop to help it hold it's shape. I am rolling through these Christmas cards lately aren't I? I better get my tail in gear because I counted up how many Christmas cards I have made and I only have 50! Yikes! That doesn't cover the number of cards I need to send out. I guess I will just have to sacrifice cleaning the bathrooms and doing laundry to get some stamping done right? I know you all understand. Important things right people? We made this card a few weeks ago at my November stamp club. Thanks to my stamping lady Virginia for sending me a link to a card that showed this technique. I had seen it around the web and just needed to take a moment to try it for myself. I was worried it would be too messy or take too long for a class setting but I think it worked out well! The trick to this one is to ink up the Woodland embossing folder on the side where the trees are recessed. On my folder it's the side where the Sizzix logo is printed. First step is to press the Soft Sky ink pad directly onto the folder on the side where the trees are recessed. Then using a brayer roll the ink around the folder to even it out. Now it's time for the trees! We used Lovely As a Tree because you can't get anymore classic than that pine tree. Ink it up with Garden Green ink and stamp the tree right over the Soft Sky ink and repeat across the folder varying the heights. Now for the crucial part of putting it to cardstock! Carefully line your cardstock up against the uninked side of the folder and gently close the folder and run it through the Big Shot. To make multiples without having to wash and dry the folder after each imprint just put a piece of paper towel in the folder and put it through the Big Shot again. If you have stubborn spot you can spritz with a bit of Stampin' Mist and do the paper towel again. Nice and clean for the next one. 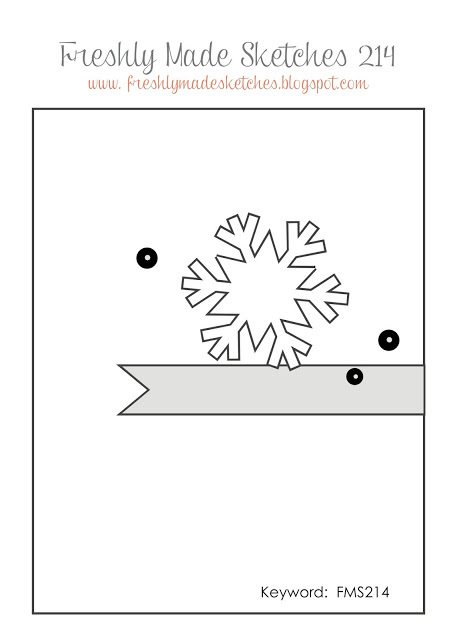 For the rest of the card we tore a piece of Whisper White and added some Dazzling Diamonds to make some snow. Using the Two Way glue pen we added some more "snow" onto the branches of the tree. The banner is stamped in Versamark and then heat embossed with white embossing powder. We added a faceted button with a Cherry Cobbler baker's twine bow.